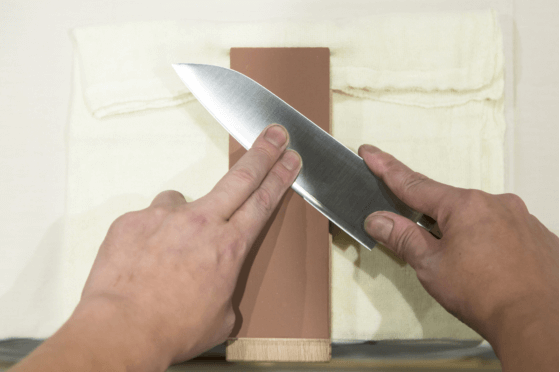 Do you think sharpening knives is difficult? No, because there is no official way. Just take my word for it, and you’ll find it’s easy! Take it easy and just try! 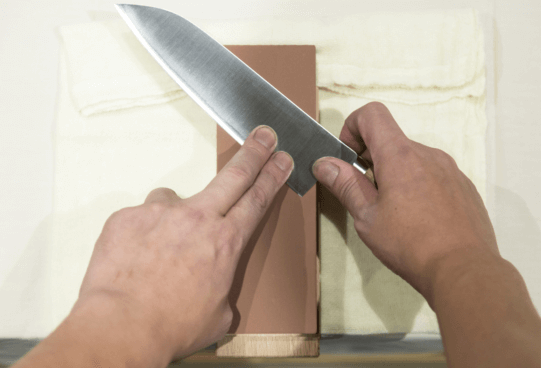 You’ll improve your sharpening technique as you do. Move to next part of the blade. 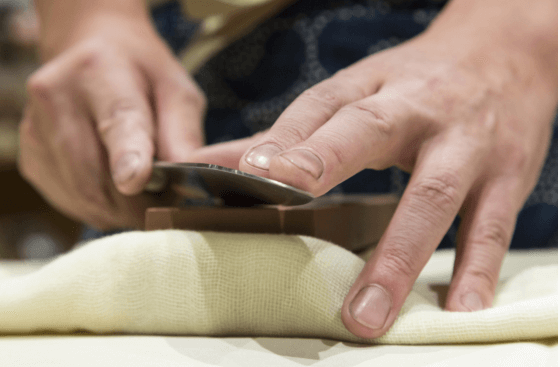 Repeat sharpening from heel to top in the same way. 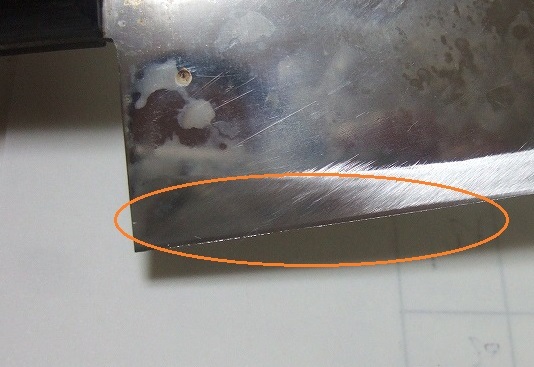 After you finish sharpening of one side, touch the other side of the edge to see if there are burrs. Burrs indicate you successfully ground the edge. 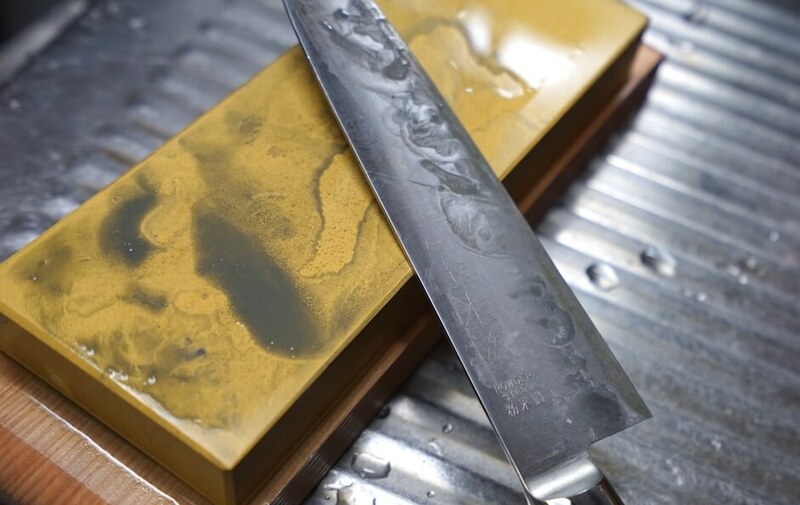 (Fig.6) Flip the blade and grind with the waterstone softly for a couple of times to remove burrs. 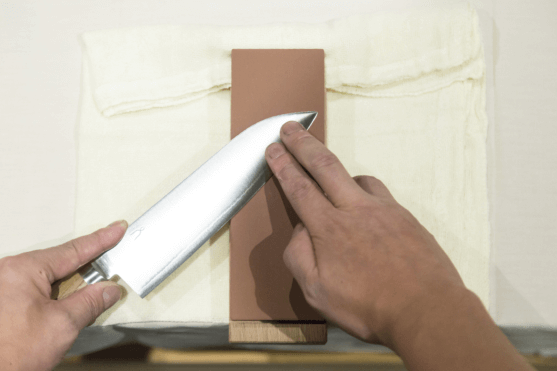 Now you finished sharpening one side. 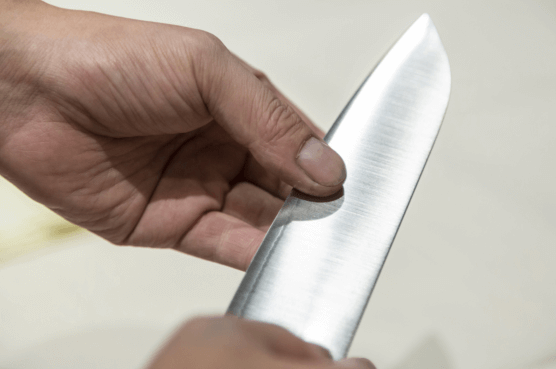 After sharpening, wash knife well and wipe off water with towel. Leave the knife for a while to dry. 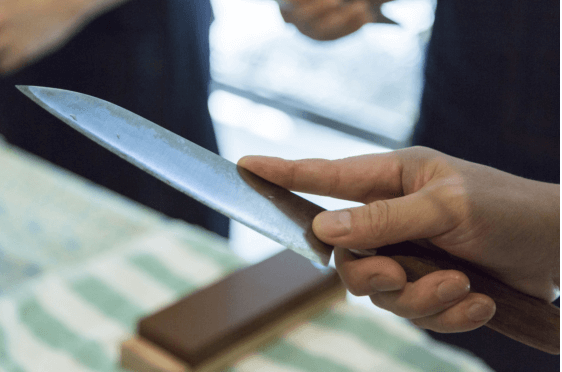 Good waterstone is necessary for sharpening! Please read through related pages below about waterstones.